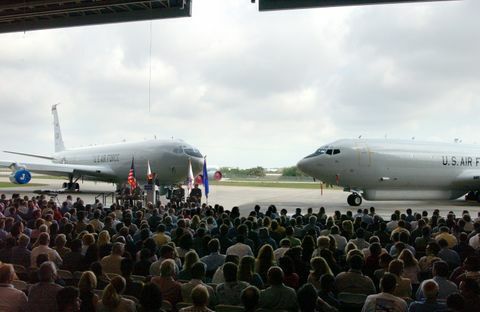 MELBOURNE, Fla., March 23, 2005 (PRIMEZONE) -- Northrop Grumman Corporation (NYSE:NOC) delivered the 17th and final production E-8C Joint Surveillance Target Attack Radar System (Joint STARS) aircraft to the U.S. Air Force today. Like all Joint STARS, the aircraft will be assigned to the Georgia Air National Guard's 116th Air Control Wing (ACW), a "total force blended wing," based at Robins Air Force Base, Warner Robins, Ga., made up of both active duty Air Force, Army and Air National Guard personnel. "Joint STARS will be in the Defense Department's intelligence, surveillance and reconnaissance constellation for many years to come," said Dave Nagy, the company's Joint STARS program vice president. "The next step now is to increase its value with connectivity enhancements to existing and future systems while simultaneously enriching the on-board support to the warfighter." The E-8C Joint STARS is the world's most advanced wide-area airborne ground surveillance, targeting and battle management system. It detects, locates, classifies, tracks and targets hostile ground movements, communicating real-time information through secure data links with Air Force and U.S. Army command posts. 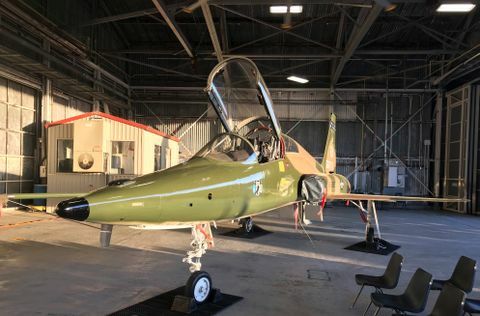 The first Joint STARS aircraft, delivered in 1996, is just completing its upgrade to the Block 20 Computer Replacement Program design. When the remaining two aircraft complete this commercial off-the-shelf (COTS) this year, the entire fleet will be in the same system configuration. "The wing is very close to having the maximum number of these low-density, high-demand aircraft in the same flexible, open system configuration, clearing the way for affordable mission upgrades well into the future," Nagy said. The Block 20 configuration features an integrated COTS computing and signal processing architecture that can be easily upgraded with new technology. This "open" architecture allows the E-8C's hardware and software to be upgraded cost-effectively to meet future surveillance, targeting and battle management requirements. "P-17 is the most advanced aircraft we've delivered so far," said Nagy. "One of the critical needs identified in Operation Iraqi Freedom was for more satellite communication (SATCOM) elements. P-17 includes an upgraded SATCOM radio that allows the Joint STARS to transmit and receive UHF SATCOM voice and digital data to beyond-line-of-sight locations." Besides SATCOM and the increased processing capability of the Block 20 configuration, P-17 is also being delivered with a new air traffic management capability known as Reduced Vertical Separation Minimum (RVSM). Using RVSM, the Joint STARS aircraft can reduce the required distance between it and other aircraft sharing the same airspace allowing it to safely fly more optimal routes, gain fuel savings and increase airspace capacity. The airplane also contains a new weather radar. This program consists of extensive inspection, treatment and elimination of corrosion and the replacement of structural components and panels as required. The aircraft are re-wired and fuel tanks are stripped and re-sealed to increase aircraft availability by preventing fuel leaks. The aircraft is brought into compliance with all outstanding Airworthiness Directives/Service Bulletins and Supplemental Structural Inspection Documents. In addition, the Joint STARS' Wing Structural Integrity Program (WSIP) addresses widespread fatigue damage that has been a problem for other 707 airframes. WSIP replaces stressed lower wing planks and stringers. Nagy cited these and other investments during production and frequent Programmed Depot Maintenance intervals as reasons why the program management believes that Joint STARS is prepared to meet warfighter commitments for years to come. The E-8C is programmed to fly until 2025 and beyond as specified by Air Combat Command in the Joint STARS Weapon System Master Plan. In addition to producing Joint STARS aircraft, Northrop Grumman provides a broad range of logistics and training support to the Air Force under a Total Systems Support Responsibility (TSSR) contract. The TSSR program is a unique partnership between the company and the Air Force that maximizes the operational availability and mission reliability of the E-8C Joint STARS fleet. It has also helped ensure a seamless transition to the "blended wing" concept under the 116th ACW. "Our track record of exceeding our customers' expectations is especially significant given the accelerating pace of operational demand on the 116th Wing personnel and equipment," said Nagy. "The Air Force has recognized our management of the TSSR program by continually adding years to the contract at the end of every periodic review. We are now contracted to support Joint STARS through 2011." The TSSR program is designed for a potential run of 22 years. Northrop Grumman's Integrated Systems sector leads the Northrop Grumman Joint STARS development team. Norden Systems, a unit of Northrop Grumman's Electronic Systems sector, manufactured all of the Joint STARS radar sensors at its Norwalk, Conn. facility. Northrop Grumman Integrated Systems, the prime contractor for the E-8C production and whole life support programs, is a premier aerospace and defense systems integration organization. Headquartered in El Segundo, Calif., it designs, develops, produces and supports network-enabled integrated systems and subsystems optimized for use in networks. 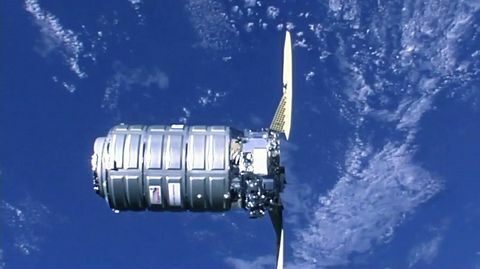 For its government and civil customers worldwide, Integrated Systems delivers best-value solutions, products and services that support military and homeland defense missions in the areas of intelligence, surveillance and reconnaissance; space access; battle management command and control; and integrated strike warfare.